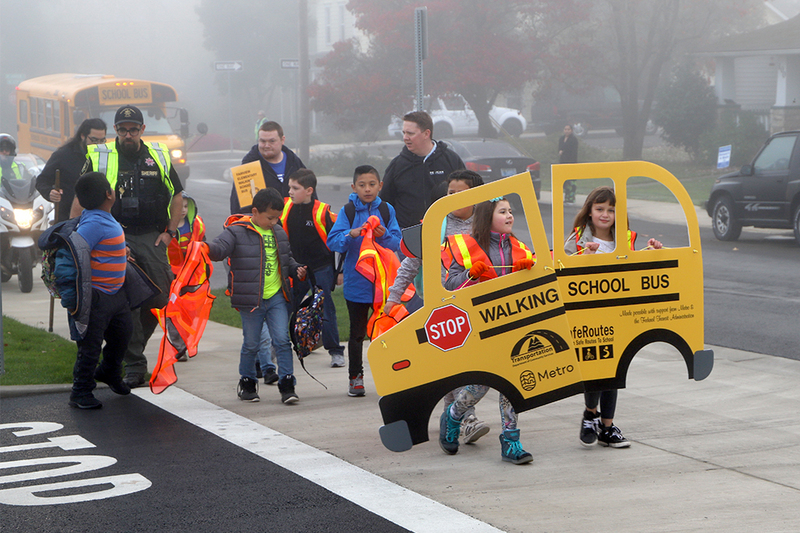 See who’s walking and rolling to School in October! 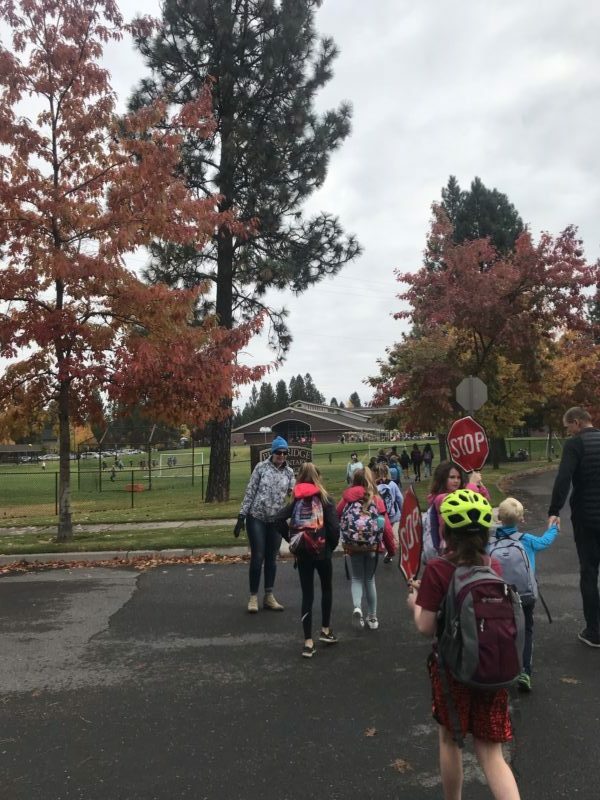 Multnomah County Sheriff’s officers helped students safely cross busy 223rd on the way to Fairview Elementary in Portland. 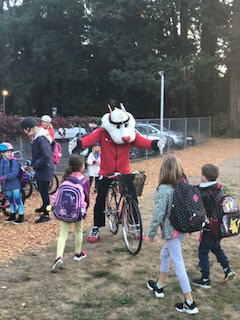 Blaze bikes at River Grove Elementary in Lake Oswego for Walk or Bike to School Day! 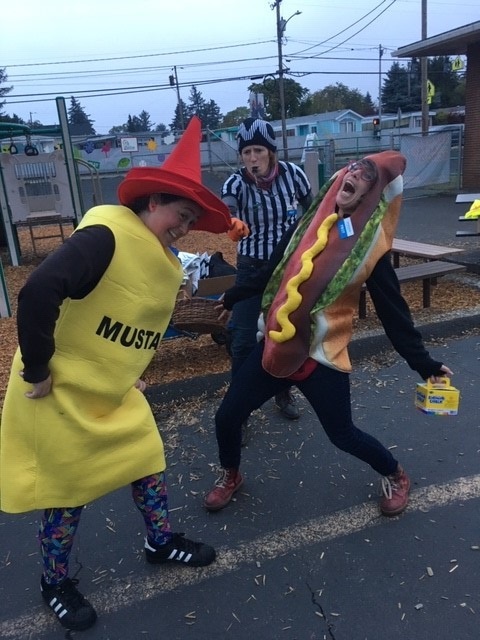 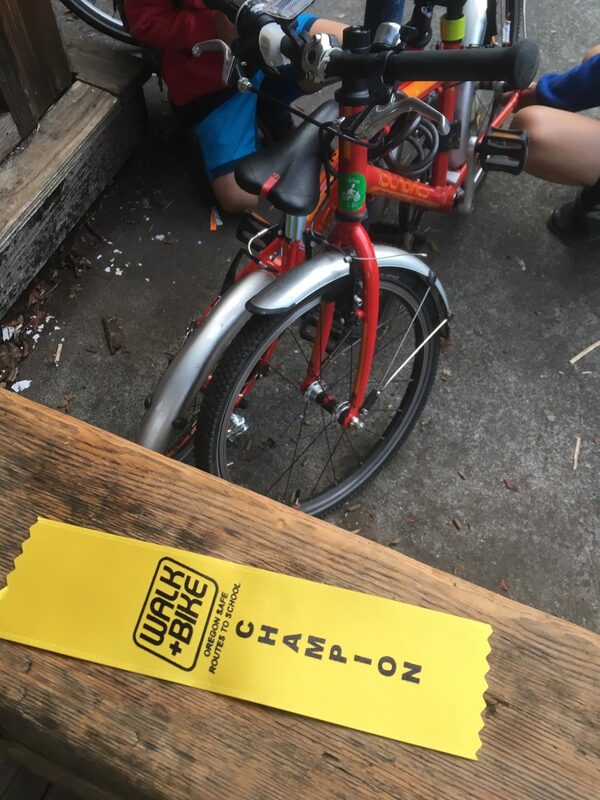 Lale, Taylor, and Abra from PBOT’s Safe Routes program cutting the mustard! 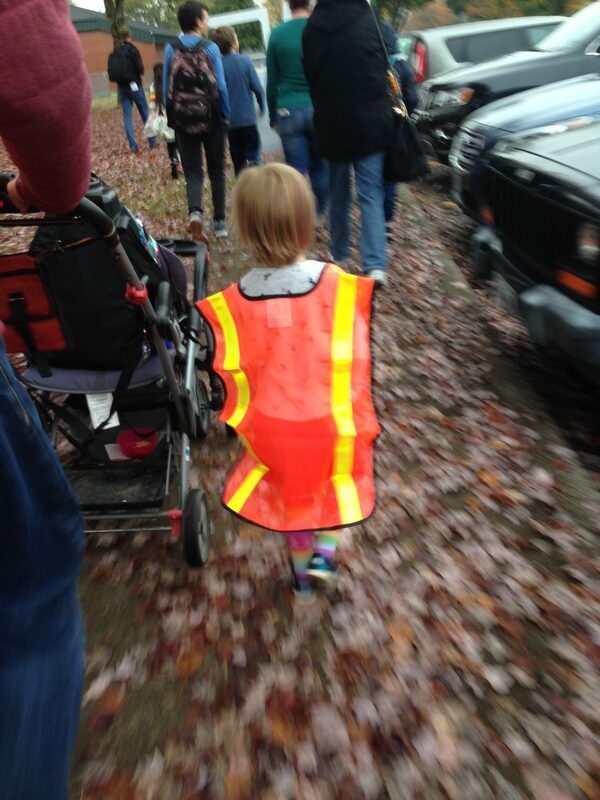 Sidewalks for students! 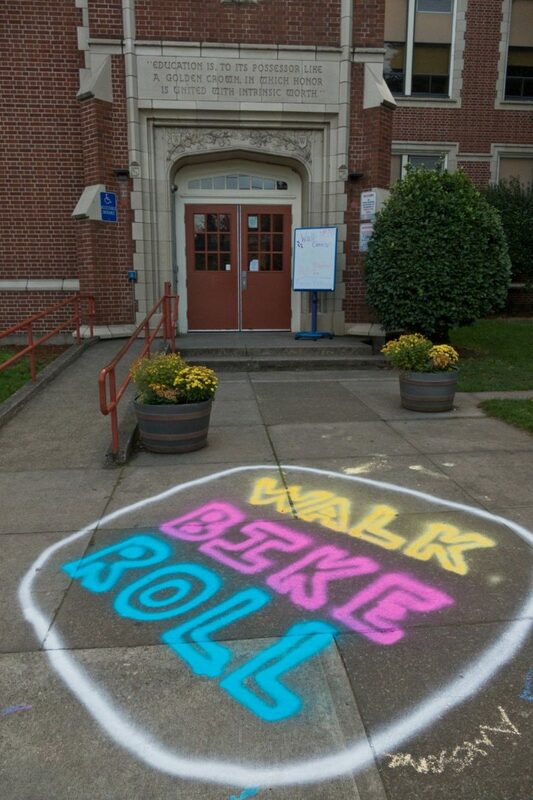 International Walk and Roll to School Day at Woodlawn in Portland. 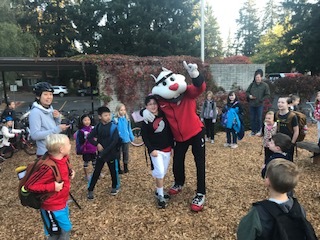 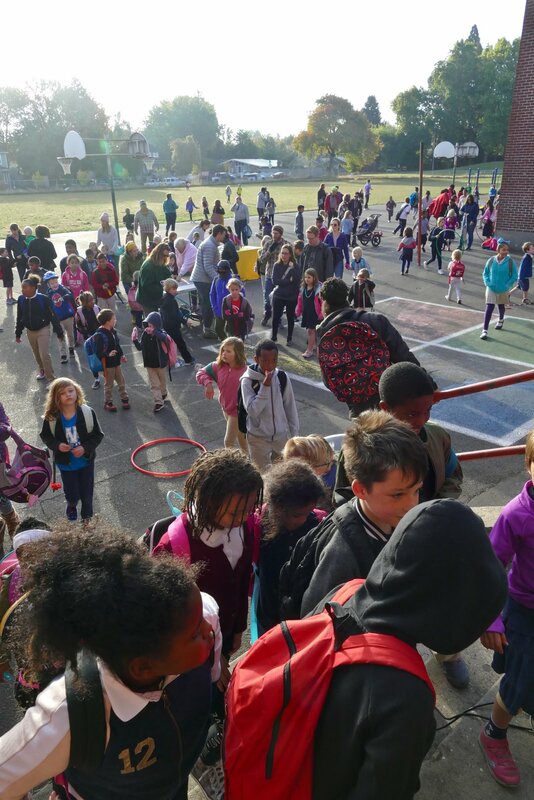 Woodlawn Elementary celebrates in Portland on October 3, 2018. 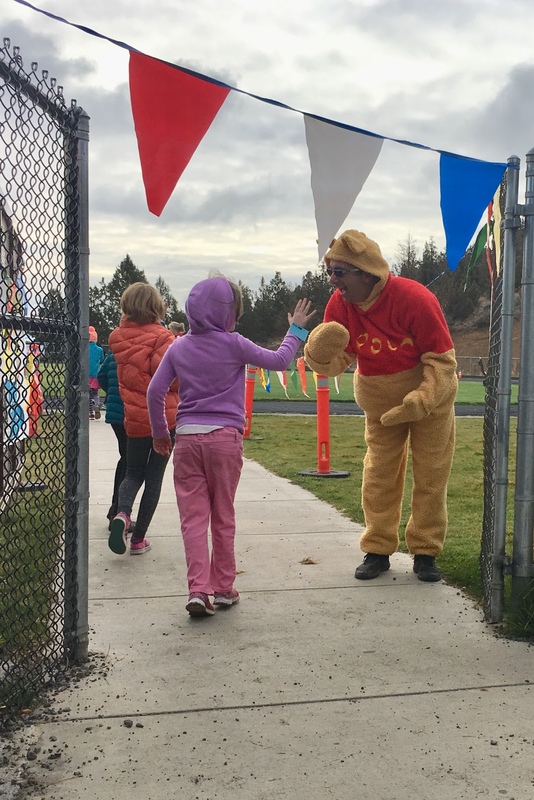 Juniper Wildcats walk-a-thon in Bend. 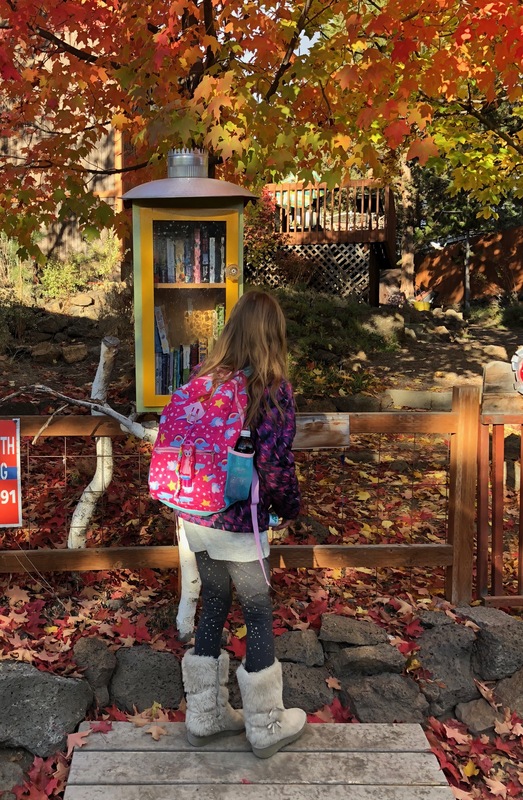 October 10, 2018. 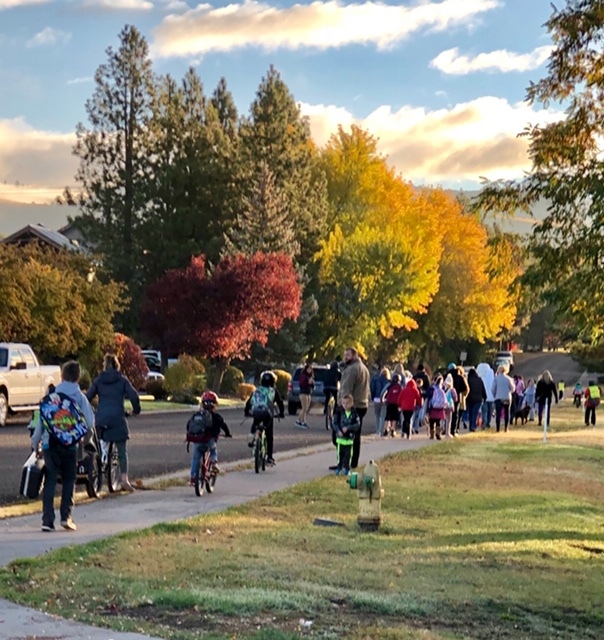 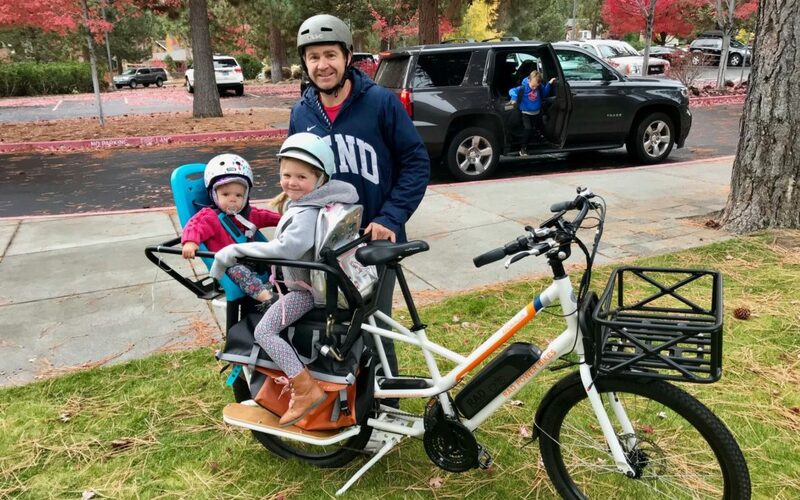 Klamath Fall’s Pelican Elementary Walk and Roll event on October 9, 2018. 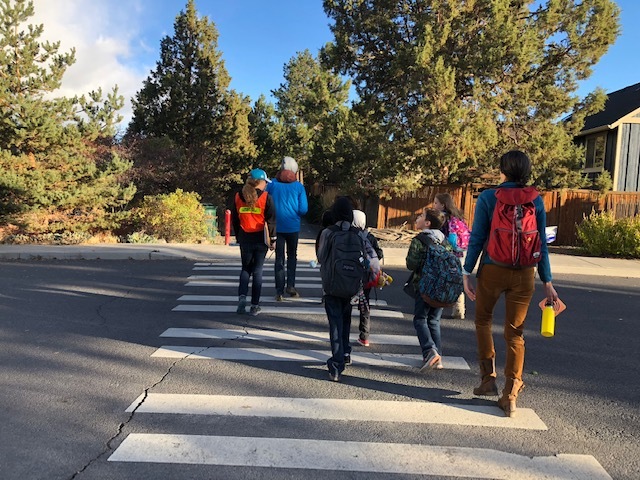 Look left, right, left when crossing the street in Bend on October 9, 2018.